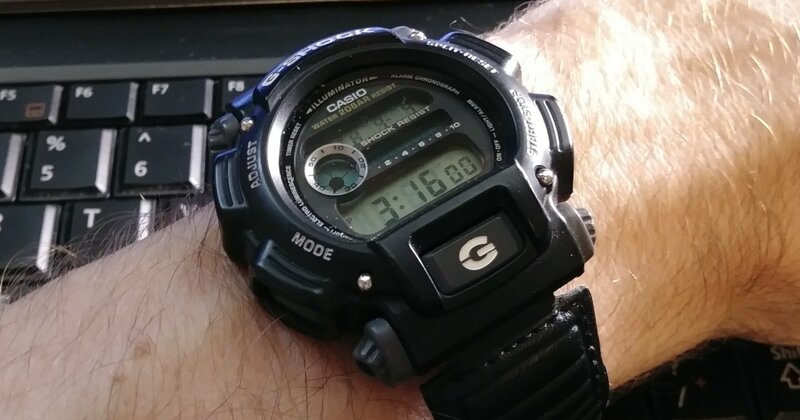 At the time I write this in April '19 I've owned my Casio AQ230 for close to a month, and wow has it changed my opinion concerning larger timepieces. The AQ230 is really small; it has 38.8mm lug-to-lug, 29.8mm case size and is 8.1mm thick. This basically means it's a 30mm watch - however - the rectangular case fills out the edges to make it look larger than it is. ...I now can't help thinking it totally looks like clown shoes. Yes, I could get a smaller G-SHOCK like the GWM5610 square model. But that's also a chunky timepiece because, well, it is a G-SHOCK, after all. In the short time I've been wearing the AQ230, I've come to learn it is highly unlikely I will ever buy a big watch ever again. Switching over to something super thin and super light just makes the bigger watches so clumsy in comparison. I have three timepieces in my collection that are large, all Casio. The G-SHOCK, SGW100B-3V and AE1000W. Do I regret buying them? No. They were all inexpensive, and having the bigger watches has been a learning experience. At the time I write this I'm 44, but ever since I turned 40 I've been looking to make the switch over to dress timepieces. This means yes, I am showing my age with my desire to wear smaller dress style watches. I treat watches somewhat like I treat electric guitars. I try different things until I find what best works for me. 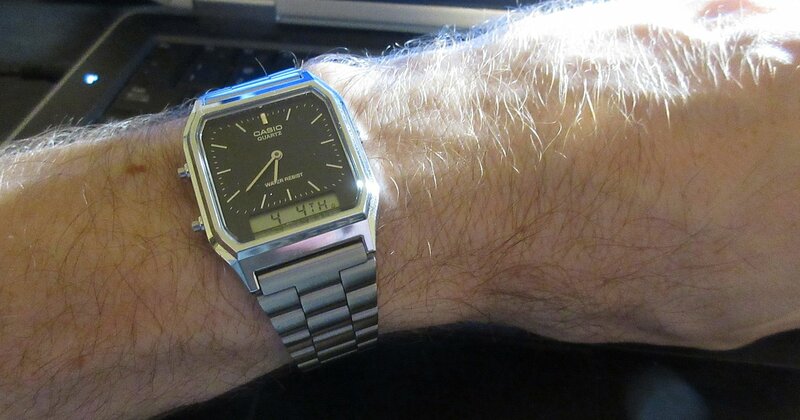 It took me a few years to figure out that what suits me best are watches in the shape of small, thin rectangles. But now that I've finally come to know this, that's what I'm sticking with.